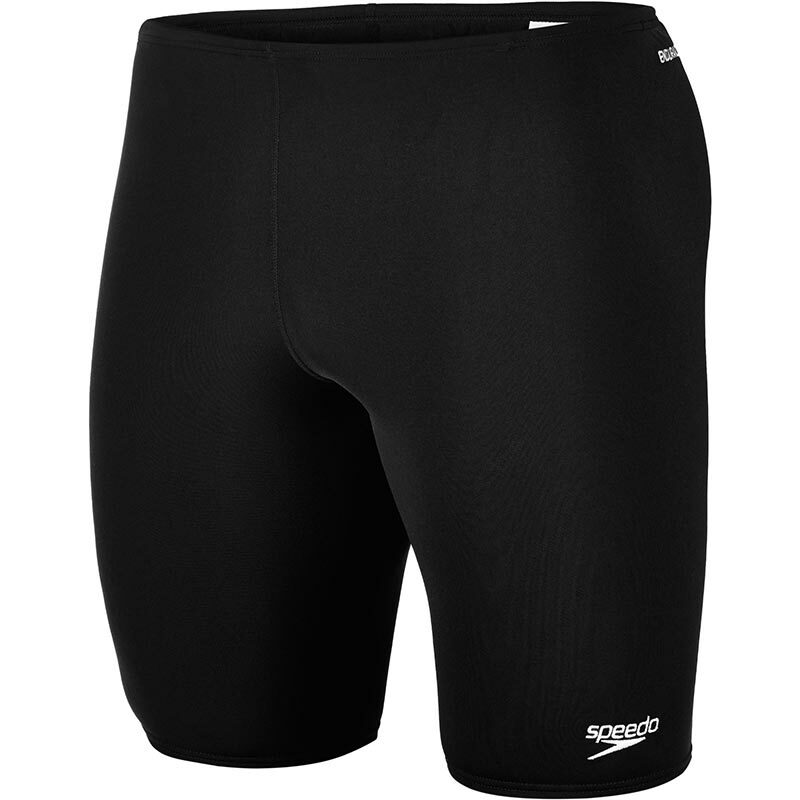 The Speedo ® Mens Endurance + Jammer is part of the Speedo ® essentials range perfect for leisure or training. Speedo ® Endurance Plus fabric is designed to last longer. It is 20 times more fade resistance than conventional elastane swimwear, with improved snag resistance and is 100% Chlorine resistant, as it contains no elastane so will not degrade in the water and for convenience is quick drying as it has a lower level of moisture absorption. Small logo on lower leg. Speedo ® jammer is ideal for racing. Elasticated waistband with an inner drawstring for a secure fit. Leg height (total length) - 44cm. My son is a club swimmer so our jammers get lots of use! We have found these to be the best - fit well and last a long time! They were extremely good value on this site! Great product, exactly as stated. Great fast service, delivered when they said. II would recommend Newitts for sports equipment and sports clothing. Sizing was bang-on, nice secure drawstring (if a wee bit difficult to loosen when taking off), and fabric quality and workmanship as good as expected. Only downside is the length; they are only just long enough for me (34" inside leg). They are shorter than a comparable pair by Maru, but will be good for most other people. I love swimming in these, they fit well and dry quickly. The elastic at the bottom of the legging holds their shape too. Ordered 2 pairs as My sons find these last well for training in. Arrived quickly. Always great service from Newitts. 5 out of 5 Will never fail you. These are a great regular use pair of swim shorts. I have owned them in the past and they will last you for ages. Hold their shape well and do not fad. This latest pair is great quality and the delivery was fast. Everything said about these speedos by Newitts and other reviewers I totally agree with especially their resistance to chloride water, have bought several pairs for all my swimming. One small point (not enough to put me off further purchases) is that although the fabric is rot proof the stitching is not! But they still last longer than most. Very good as usual. They are comfortable and fit well and dry quickly. When these wear out I will be buying again. Really pleased with these jammers. Good quality, feel comfortable in the water and excellent value. Good choice of colours. Can't go wrong.